Shiva hours: Wednesday and Thursday from 2:00 p.m. to 4:00 p.m. and 7:00 p.m. to 9:00 p.m., and Friday from 2:00 p.m. to 4:00 p.m. Evening Services at 7:30 p.m.
Dear family. , please accept my sincere condolences on the loss of Phil , He was a kind man with always a warm word to say I always enjoyed bumping into him. May all your happy memories sustain you now and in the years to come. Dear Melnick family. Our deepest condolences on your loss. Joanie niederhoffer and Syd Deskin. My deepest condolences to your family. Phil will live on in your hearts and memory. Dear Joy and Sanford , sending you our deepest condolences on the passing of your Father. Wishing you long life and no more sorrow. Dearest Joy & family, my deepest sympathies to you all on the loss of your father. Thinking of you and wishing you love and strength in this difficult time. Dear Melnick Family. Please accept our deepest condolences on the passing of Philip. Dear Eileen, So sorry to hear of your father's passing. Thinking of you at this most difficult time. My sincere condolences. Dear Melnick family, Phil and I always had a little chat when we saw each other in the lobby of the Regency. He had the most wonderful smile and was always cheerful and warm. Phil will be missed here;and I send you all sincere condolences for your sad loss. My parents, Marty and Elly (currently in FLA), and I convey our deepest condolences to all of you. Our thoughts are with you and we know that Phil will be greatly missed. We heard with great sorrow the passing of Philip Melnik, blessed memory. The Friedman and Al-Chay families from Israel are asking to embrace and comfort the Melnick family. We wish you know no more sorrow. Sincerest condolences to the whole family. I remember well going back to the days when JDRF was just being started here in Montreal and how devoted he was to the Bike-a-thons held in Hampstead. Sadly, my husband, Marvin recently passed away so I know what you are going through. May all your wonderful memories help at this extremely difficult time. What a mench he was! Sad to read of his passing. Dear Shirley and Family, My sincere condolences to you and your family on Phil’s passing. May wonderful memories help you through this very difficult time. My thoughts are with you. Dear Ida,Moe and entire Melnick Family. My sincere condolences on the passing of Phil. May you be spared further sorrow. Zelda Gurman. Dear Joy, Shirley and family My deepest condolences on your loss. Dear Joy and family, our sincere condolences on the passing of your dad. Dear Joy Heartfelt condolences to you and your family on the loss of your dear Father. Dear Joy & family, My sincere condolences on your loss. May you find comfort & strength in the days ahead. My thoughts are with you. Dear Joy & family, Sending you our condolences on the passing of your father. May loving memories be a comfort to you in the days and months ahead. Dear Joy and Sanford, my deepest condolences on the loss of your father. My thoughts are with you. Dear Eileen, Please accept my deepest condolences on the passing of your beloved father. Dear Joy, Sending you our deepest condolences on the passing of your father. Dear Shirley and family, Our sincere condolenes on your loss, know that our thoughts are with you at this most difficult time. Fondlt Evie and Herb. Dear Shirley and family, Our deepest sympathy to you on the loss of your dear Phil. May all your cherished memories help to comfort you at this difficult time. Dear Joy, my condolences on the loss of your father. May you be spared further sorrow. Dear Shirley & Family, We were very saddened to learn of Phil’s passing. A true mench in every respect. May all the fond memories provide you with strength at this difficult time. RIP Phil. Dear Moe & Ida & Melnick Family . Our deepest condolences & may you fond memories of Phil bring you comfort at this time. Dear Joy and the Melnick family, My deepest condolences to you on your terrible loss. May his memory bring you strength during this difficult time and may your family know no further sorrow. Baruch Dayan Ha'Emet. Dear Shirley, Eileen, Mitchell, Joy and family. I am so sorry to hear about the loss of Phil. I have so many wonderful memories of our families together growing up. Please accept my sincere condolences. My thoughts are with all of you. Dear Joy and family, my sincere condolences on the loss of your father. My thoughts are with you at this most difficult time. Dear Eileen and family, We are sorry to hear of your father's passing. Our deepest condolences to you and your family, may you find strength in the memories that live on in your beautiful families. My sincere condolences to the Melnick family. I was saddened to read of his passing. Our history goes back to the early 70's. RIP dear friend. Joy, Rachel, Sandy, David, and family, I am so sorry for your loss. Thinking of you in this difficult time and sending all my love from Toronto. Dear Shirley and Melnick family, Our deepest sympathy on the loss of your dear Phil. May your fond memories comfort you at this most difficult time. To Mitchell and family, Thinking of you and sending our condolences at the passing of your Dad. Sandy and family. Dear Shirley and Family... Please accept our deep sympathy on the loss of Phil. He was a lovely man, and we are wishing you strength to carry you through this most difficult time. condolences to moe, ida and melnick family on the loss of phil. may you all be consoled among all who mourn in zion and jerusalem. Dear Joy, Sandy, Eileen and family, Marc and I extend our deepest sympathies to you at this painful and difficult time. May sharing manyspecial memories with supportive family and friends provide you with comfort and peace. Dear Shirley, Joy, Sandy, Eileen, Mitchell and families, we extend our deepest sympathies on the loss of Phil. May you all be spared any further sorrow. Your fond memories of your Husband, father, and grandfather will carry you all forward and may these moments be implanted in your hearts. With much sadness, Myriam and Mark. Dear Shirley and family Shelly and I extend our deepest sympathies on the loss of Phil! Dear Ida, Moe and Melnick Family...my condolences on your loss. Dear Joy, Sandy, Rachel and David. I send you my sincere condolences on the loss of a superb dad, father in law and Zaidy. I hope that your memories of the many great times spent together will sustain you at this time. I wish you long life and good health. Dear Joy, Sandy and Family, My thoughts are with you at this difficult time. Dear Moe & Ida, Our deepest condolences on your loss.may his soul rest in peace. Dear Shirley, Eileen, Mitchell, Joy, and Melnick family, So sorry to hear about Phil. Thinking of you all and sending my sincere condolences. I have fond memories of time spent together many years ago. Dearest Joy and family , Please accept my sincerest condolences on the loss of your dad .if there is anything you need I am here for you . May all your cherished memories help you through this very difficult time . May you all be spared from further sorrow . Dear Ida & Moe, Sincere condolences on the loss of your brother. Dear Shirley: we were so very sad to hear about Phil.So many memories - travelling together to the orient and Europe, happy times at the Malaga , the sneeze mob etc.. Our best memory of Phil- no matter what- he always had a big smile on his face! Life can be so unfair. Please accept our most sincere condolences to the whole family.We are in Florida but will be with you tomorrow in our hearts and thoughts. To the Entire Melnick Family. Sincere condolences on the loss of a beloved husband, father, brother & grandfather. Phil was a giant in the textile business, I will never forget his kindness. R.I.P. Dear Shirley,sincere condolences to you and family.Aviva Ptack. Dear Shirley,Joy ,Sandy and family, Phil was such a handsome,kind man. I have fond memories of him when we were busy fundraising with the JDF events. Please accept our sympathies and we hope you find comfort in family and friends at this time. Dear Shirley, Joy, Eileen, and Mitchell I am so very sorry for your loss, my deepest condolences. my thoughts and prayers are with you at this difficult time. Dear Shirley and family, please accept our sincerest condolences on your loss. Phil had his stamp on our generation and will always be remembered. May you be spared further losses. Dear Shirley & Family, Our sincerest condolences. Phil was a true "mensch " My all the great memories you have of him provide you with strength at this difficult time. "BDE"
Please accept my confolences. May the family find solace in remembering the love you all shared. May you be comforted among the mourners of Zion. Eileen and Stuart, My sympathies to you and your family at this difficult time. Dear Moe ,Ida and family.Our sincere condolences on the passing of your brother Phil. Dear Joy , Sanford and family, I am so sorry to hear about the passing of your father. Thinking of you during this difficult time. May you be spared further sorrow. Dear Shirley and Family. We were very saddened to hear of the death of Phil. My friendship with Phil goes back many years. May the family be spared further sorrow. Dear Melnick Family , I am so sorry for your tremendous loss. Unfortunately I know too well how you are feeling. I hope the kind condolences of family and friends provides you with comfort during this difficult time . Dear Caroline and Mitchell, Very sorry for your loss. May you be comforted with the wonderful times you shared together. May your father/father in law's memory always be for a blessing. Dear Moe, Ida and Family, Our deepest condolences on the loss of your brother and brother-in-law, Phil. Our thoughts and prayers are with you at this sad and difficult time. Dear Moe and Ida, and the Melnick , our condolences on the passing of your brother Phil. Dear Moe, Ida and Family; my sincere condolences on the passing of your brother, Phil. Dear Ida,Moe and entire Melnick family.Our deepest sympathy on the loss of Phil. It is with tremendous sadness that we announce Phil’s passing, peacefully at the age of eighty-three, on Monday, March 25, 2019, surrounded by his loving family. 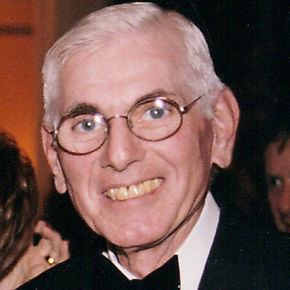 Beloved husband of Shirley Feinberg for almost sixty years. Cherished father and father-in-law of Eileen Melnick and Stuart McCarthy, Mitchell Melnick and Carolyn Greene, Joy Melnick and Sanford Smith. Dear brother and brother-in-law of Morris and Ida Melnick, and brother-in-law of Judy and Kenny Helfield. Son of the late Sam and the late Anna Melnick, and son in law of the late Rose Berman. Adored Zaidy of Joshua, and Amanda McCarthy, Rachel, and David Smith. Phil will be missed by his nieces and nephews and many close friends. Special thanks to the wonderful care over the years from Tina and exceptional care from the CLSC metro staff, and the Dialysis and Geriatric Units at the Montreal General Hospital. Funeral service from Paperman & Sons, 3888 Jean-Talon St. W., on Wednesday, March 27 at 12:00 p.m. Burial at the Dominion Hebrew Cemetery, de la Savane. Shiva at 4800 Côte-Saint-Luc Rd, Wednesday and Thursday from 2:00 p.m. to 4:00 p.m. and 7:00 p.m. to 9:00 p.m., and Friday from 2:00 p.m. to 4:00 p.m. Evening Services at 7:30 p.m. Eileen will continue receiving condolence calls at her home in Ottawa on Sunday from 1:00 p.m. to 4:00 p.m. Contributions in Phil’s memory may be made to the Dialysis and Geriatric Care Units c/o of the Montreal General Hospital Foundation (514) 934-8230.